Kindly note that this option can not be activated for videos added as links. Only videos uploaded to vooPlayer directly can be downloaded. To edit this setting visit PLAYER CONTROLS. 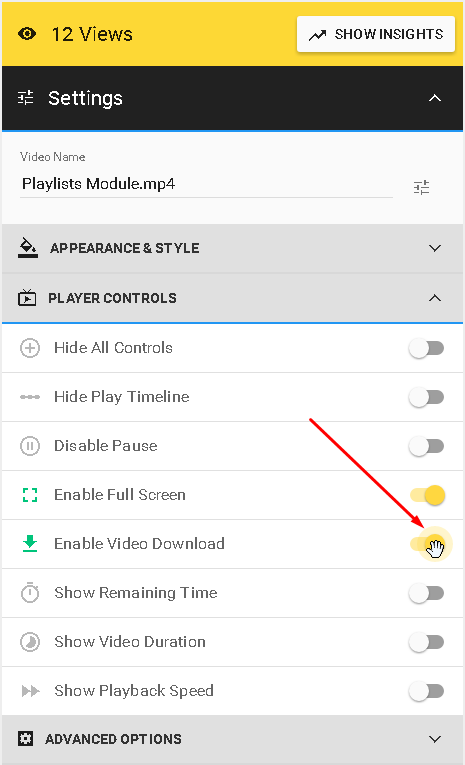 Turning the toggle on will activate the Download button in your video controls. This way your viewers will be able to download your video.